It's officially September, but the temperatures in Phoenix still feel like it's the dead of summer. 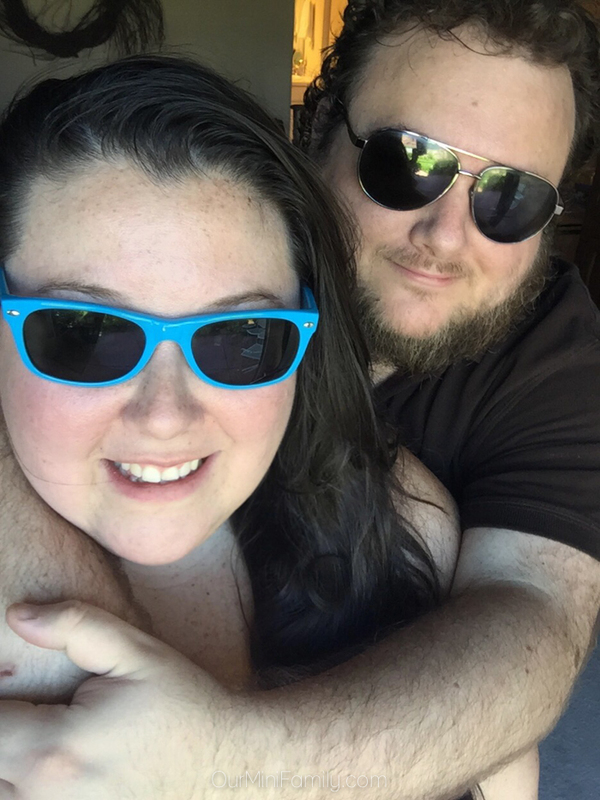 This past weekend, Adam and I escaped the three digit temperature heat here in Phoenix, and we headed up north to Sedona, AZ! 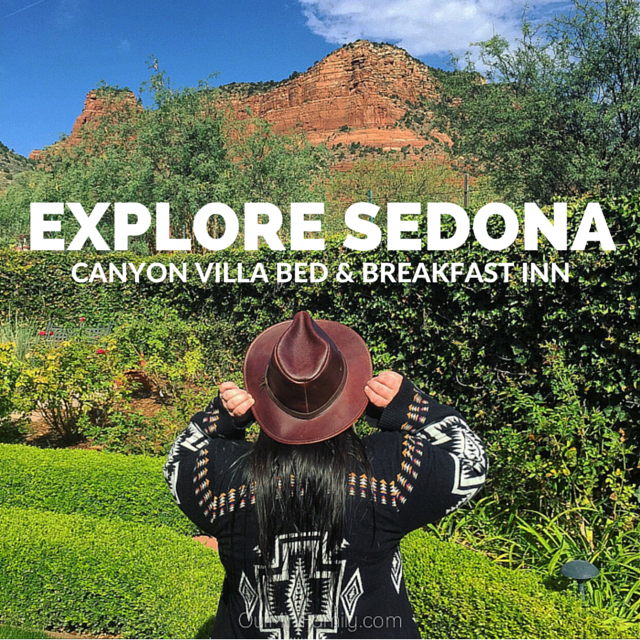 I'm sharing all of the details from our staycation in Sedona--special thanks to Canyon Villa Bed & Breakfast Inn of Sedona for our complimentary accommodations, and making our weekend magical! 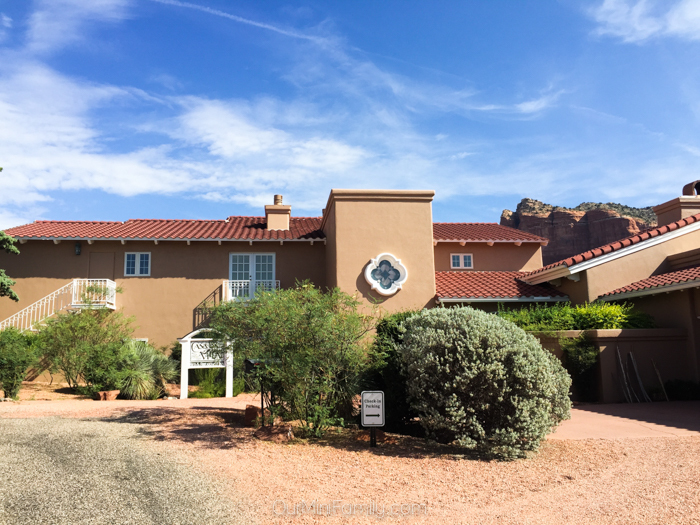 Adam and I drove from Phoenix to Sedona and made it to Canyon Villa Bed & Breakfast Inn of Sedona in just under two hours. The inn was very easy to locate and just right off of the main road. 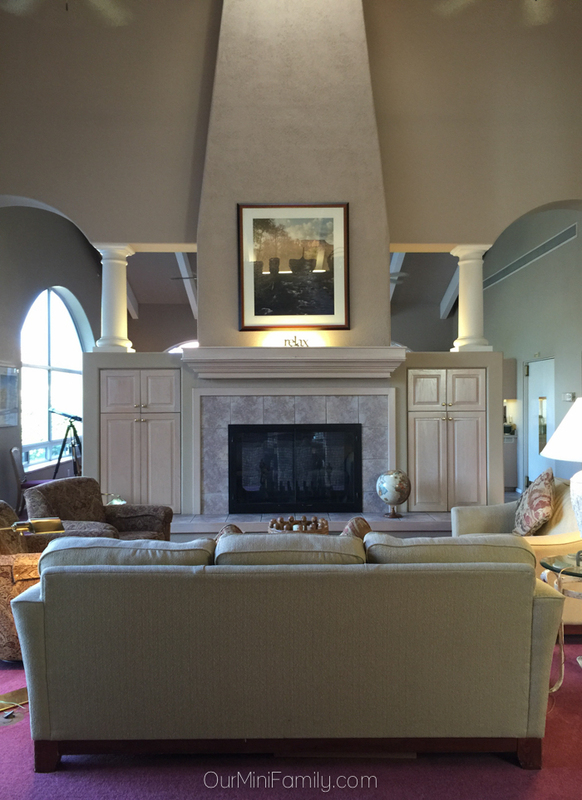 From the moment we checked in, we felt very taken care of and right at home! Since our room was ready, we were able to do an early check-in and explore our room for the weekend! Just outside of our room was a beautiful and lush garden, and a direct walkway to the pool. There was not a bad view in sight--the red rock was an incredible backdrop for our whole weekend, and I couldn't get over how gorgeous everything was! 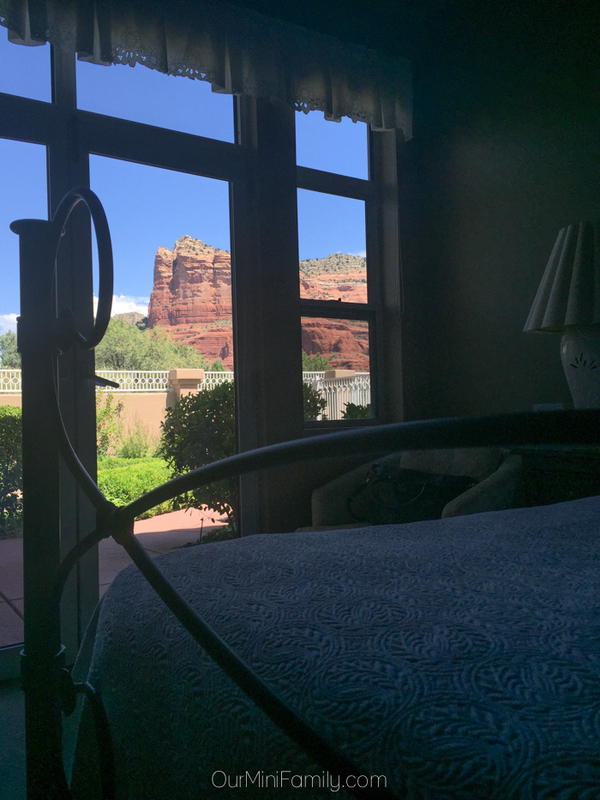 We stayed in the Mariposa room at Canyon Villa, and had stunning views of the red rock formations right from our bedroom! 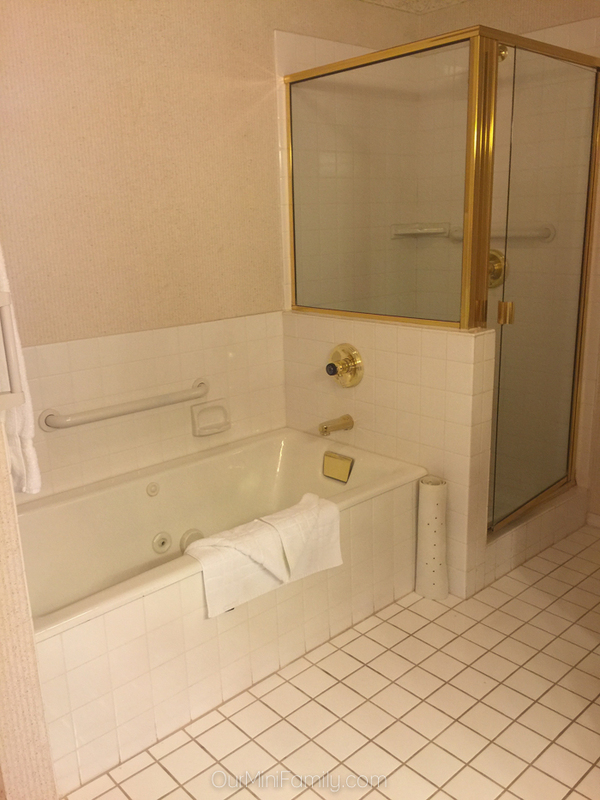 Our room had a soft king size bed, an electric fireplace, a private patio and walkway directly to the pool, a full bath and separate shower, two sinks and a vanity, a television, and a desk. After we relaxed for a little bit in our room, we decided to take a swim in the pool! Les and Peg Belch, the owners of the inn, were kind enough to come by and say "hi" to personally welcome us and ask how we were enjoying our stay--Adam and I loved that! 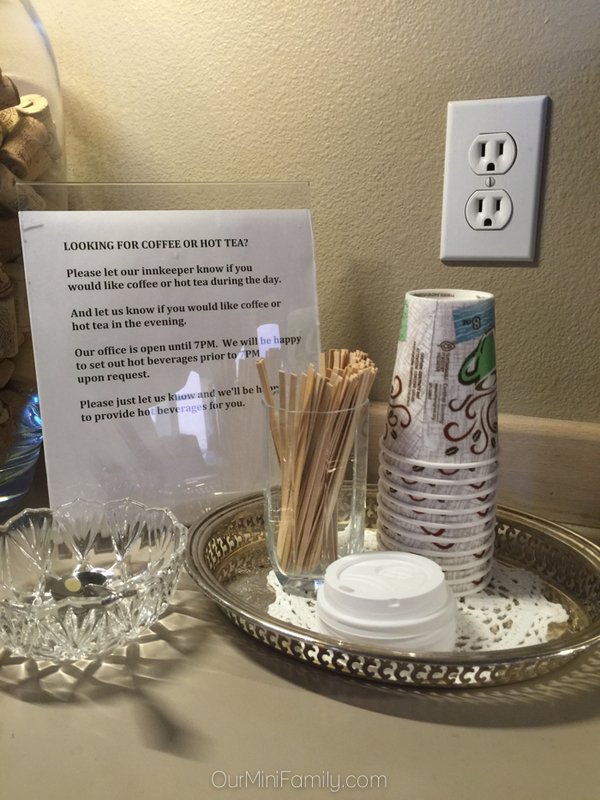 It's always great to see when inn owners have a hands on approach to their guest experience! 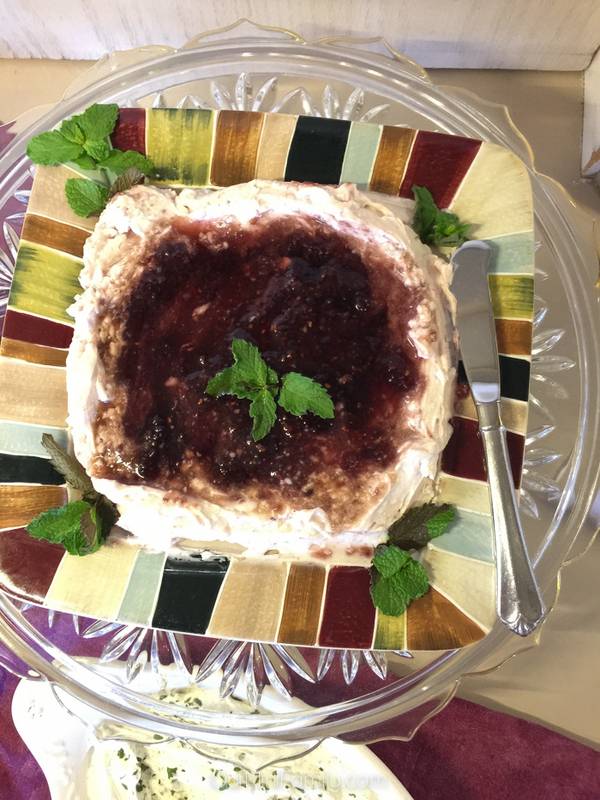 Later that evening, the staff at Canyon Villa served complimentary appetizers for the guests to enjoy. 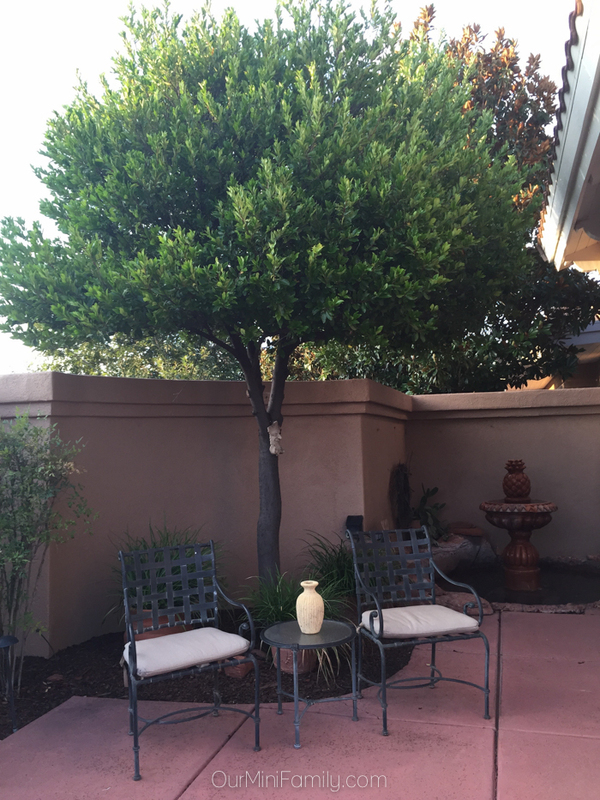 One thing that I loved about Canyon Villa is that they support other local Sedona businesses! I was speaking with one of their staff members and learned that the kitchen at the inn gets majority of their ingredients from local farms. Supporting small business is so important, and I enjoyed learning about some of the other, nearby "mom and pop" businesses in Sedona. 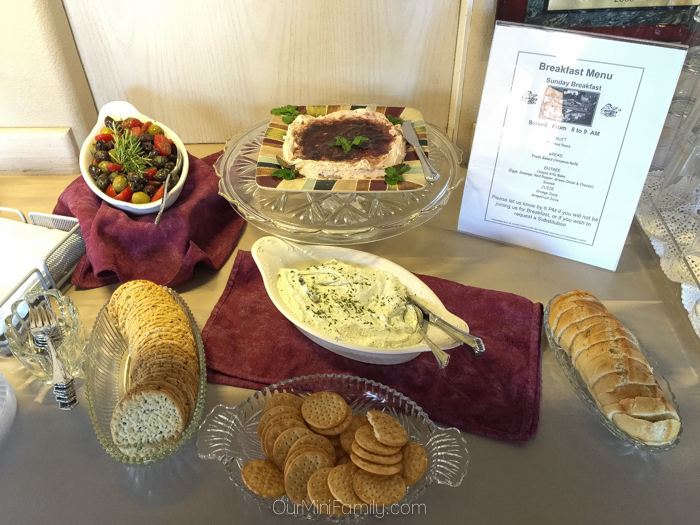 After we enjoyed some appetizers, we checked out some of the amenities at the inn. The space felt so open and the there was a lot of natural light coming in. That night, Adam and I came back out to the communal living space of the inn and did some star gazing through the telescope that was set up at the inn! We had also noticed that there were binoculars next to the telescope too, but it was too dark to really see anything outside with the binoculars. 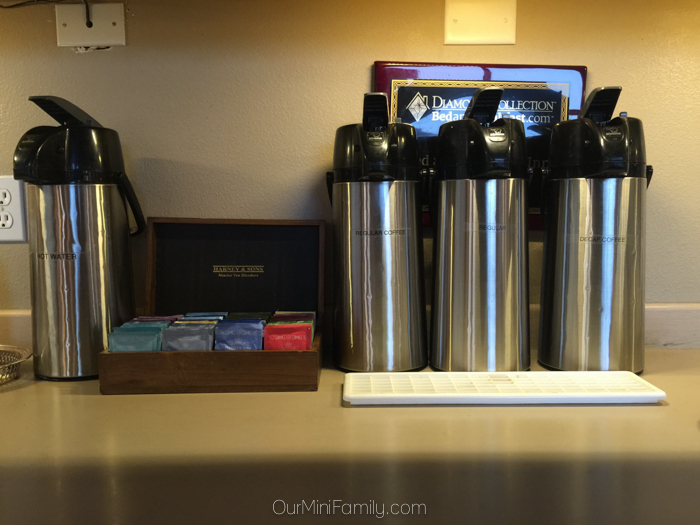 The next morning, there were a variety of coffees and teas available at 6am. I woke up much earlier than Adam did, so I got up and did a little bit of reading and then went to sit outside with my cup of coffee. 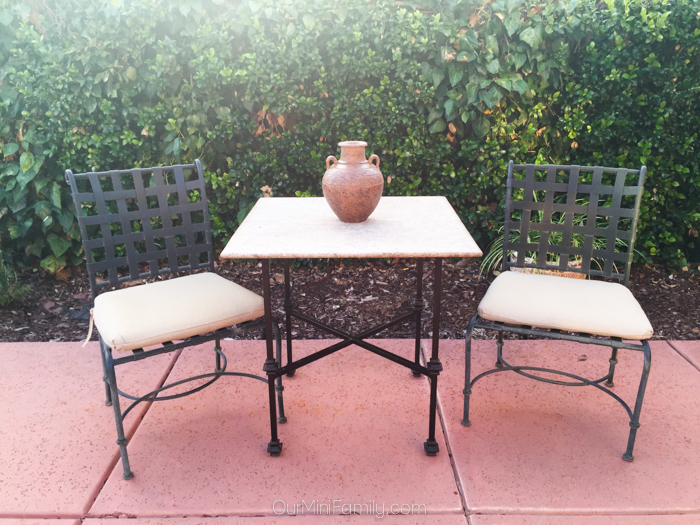 My favorite part about this weekend was the cooler summer weather--it was 70 degrees at 7am! The patio by the pool as well as the smaller patios around the inn were all well-decorated and very welcoming! 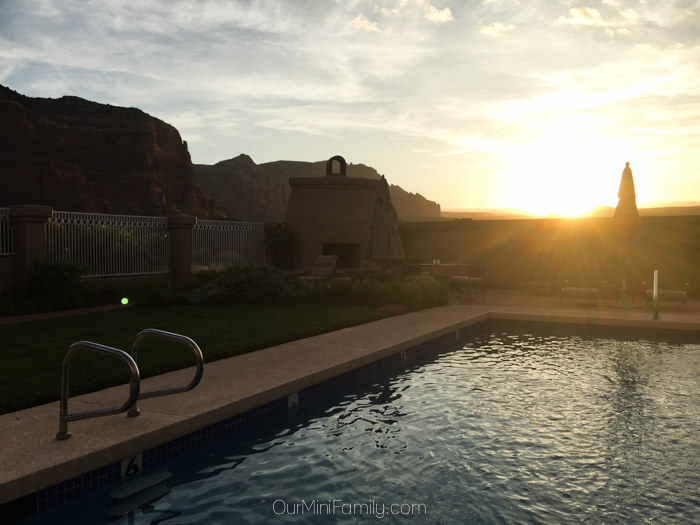 I enjoyed a cup of coffee and watched the sunrise, and then went back to our room to wake Adam up just in time for our Canyon Villa breakfast! 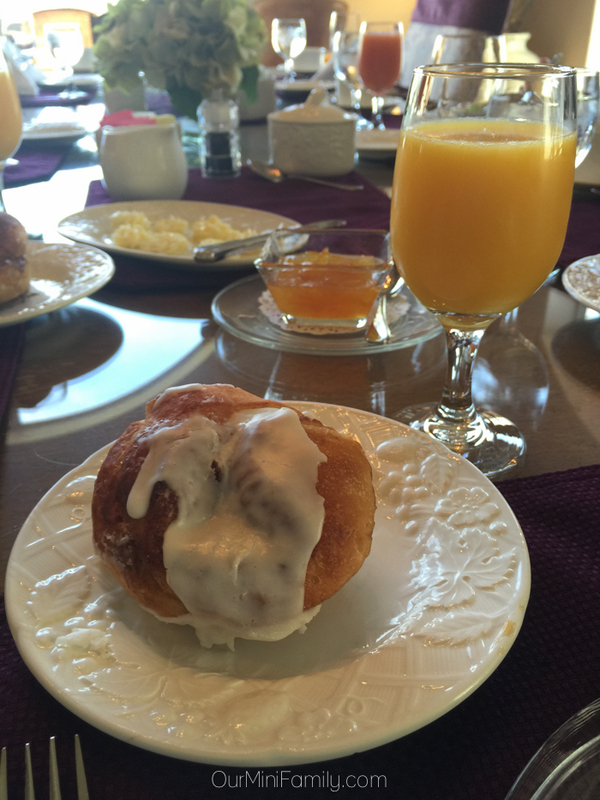 Our three course breakfast at Canyon Villa was delightful! 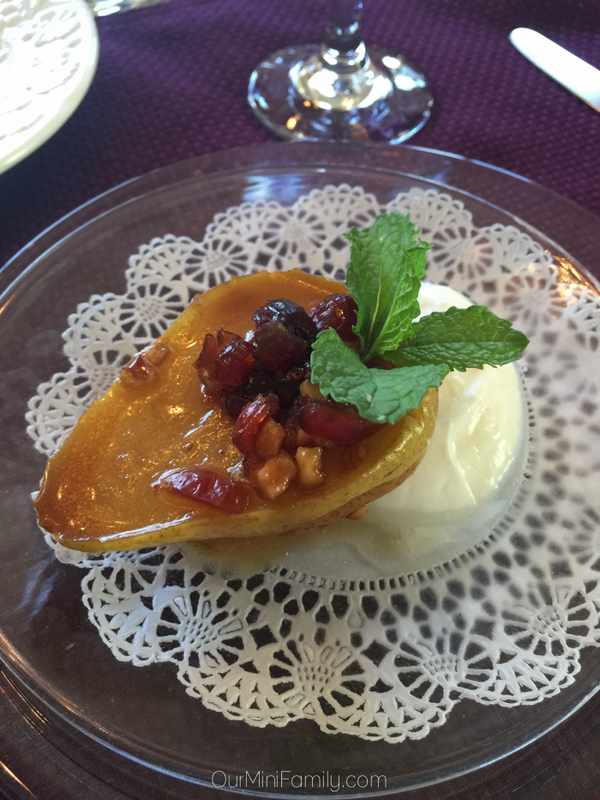 We enjoyed breakfast pear, a gourmet cinnamon roll, a roasted vegetable quiche, and cranberry-orange scone. 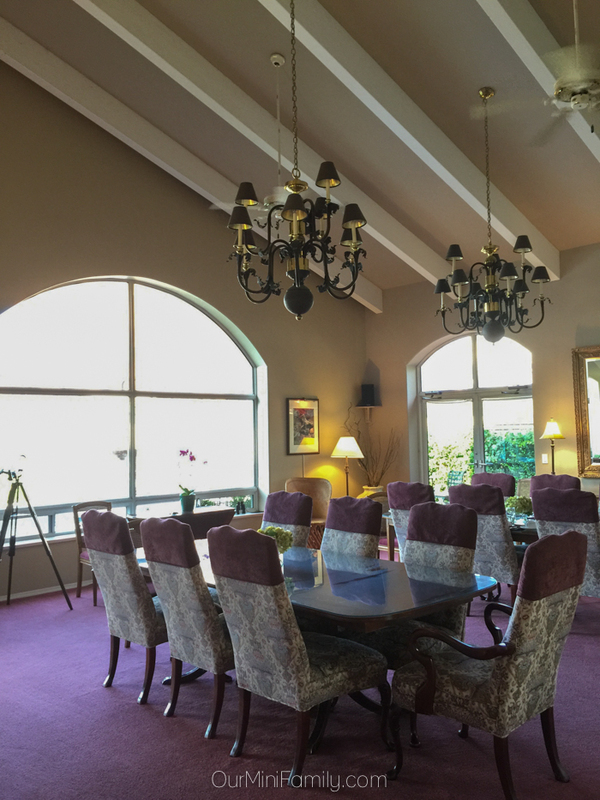 Although Adam and I don't have any dietary restrictions, one accommodation that Canyon Villa offers is that they will cater to your needs; they have additional breakfast options that include lactose-free, gluten-free, vegetarian, and also vegan upon request. 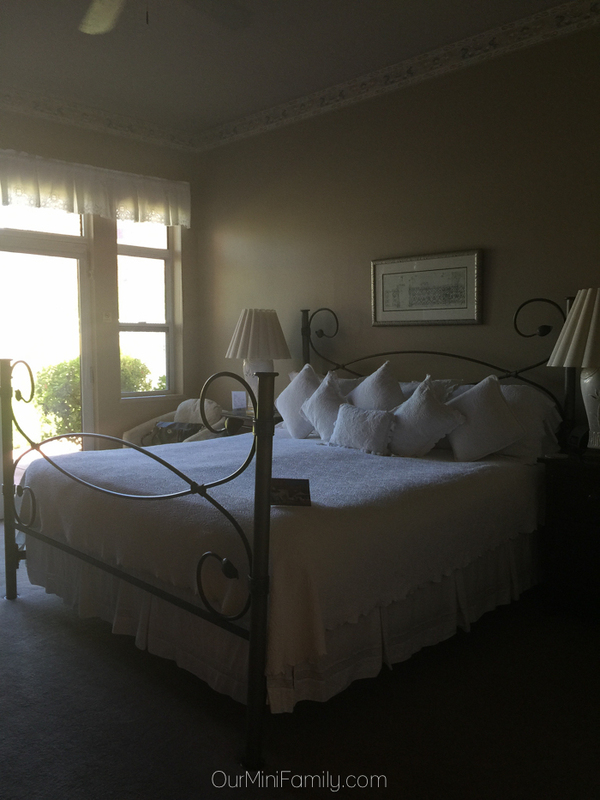 Another thing I really enjoyed about this weekend is that Canyon Villa is an adults-only bed & breakfast. 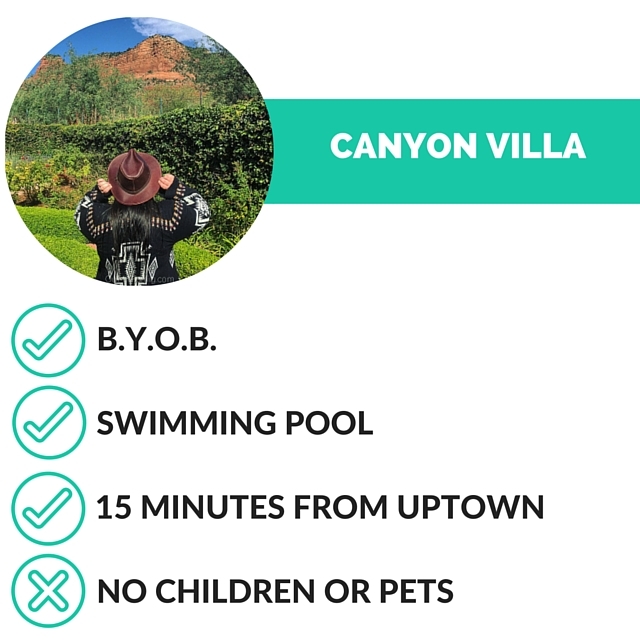 Adam and I don't have any children yet, and we do like to get our fair share of peace and quiet when we enjoy a staycation; if you plan on visiting Canyon Villa, be sure to send the kids off to nana and grampa's before you enjoy your time away with some quiet time. 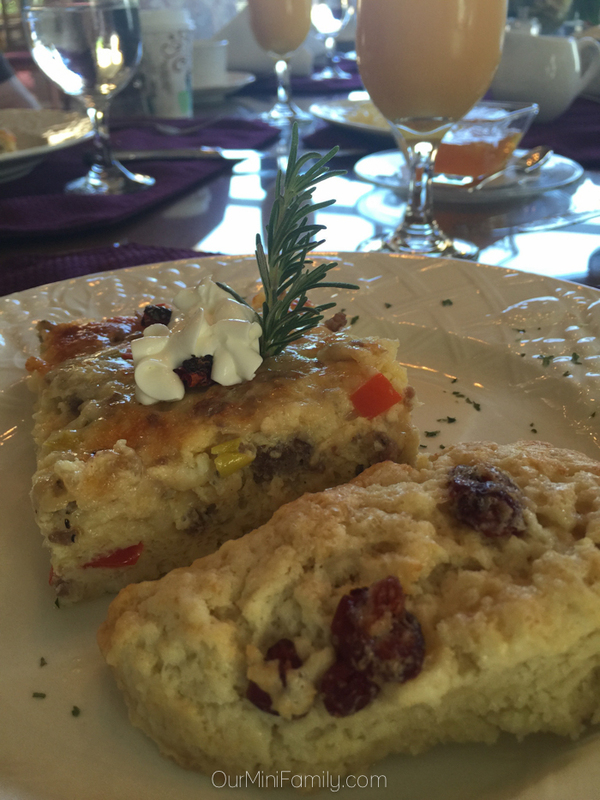 What amenities do you look for in a bed & breakfast? 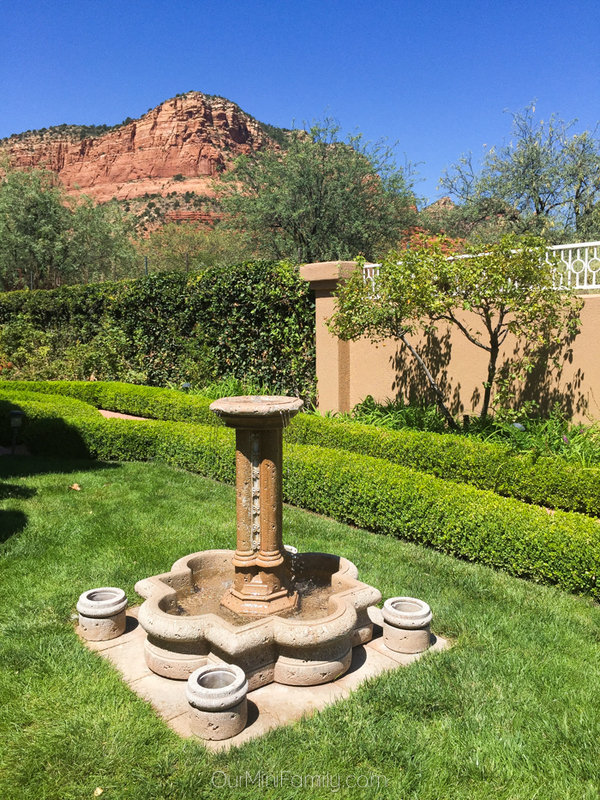 Thank you again to Canyon Villa Bed & Breakfast Inn of Sedona for hosting us! 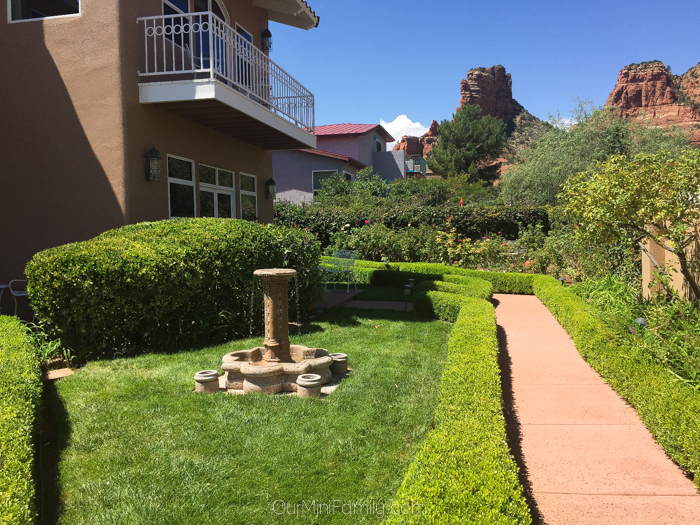 It was a magical staycation in Sedona, and we're very grateful that we had the opportunity to enjoy these accommodations in exchange for sharing our experience on our blog and social media. Wow! That looks absolutely stunning! If we ever go that way, we definitely need to stay there! That looks like an AWESOME place to stay. My husband and I were talking about doing something special this year for our anniversary and this sounds perfect. What a gorgeous B&B as well as location to get away and recharge your batteries! The grounds are so pretty. Wow, that place looks absolutely amazing. I have never stayed at a villa before But I definitely would love to! I love how spacious it is and the gorgeous views! What a fabulous view from the hotel room! 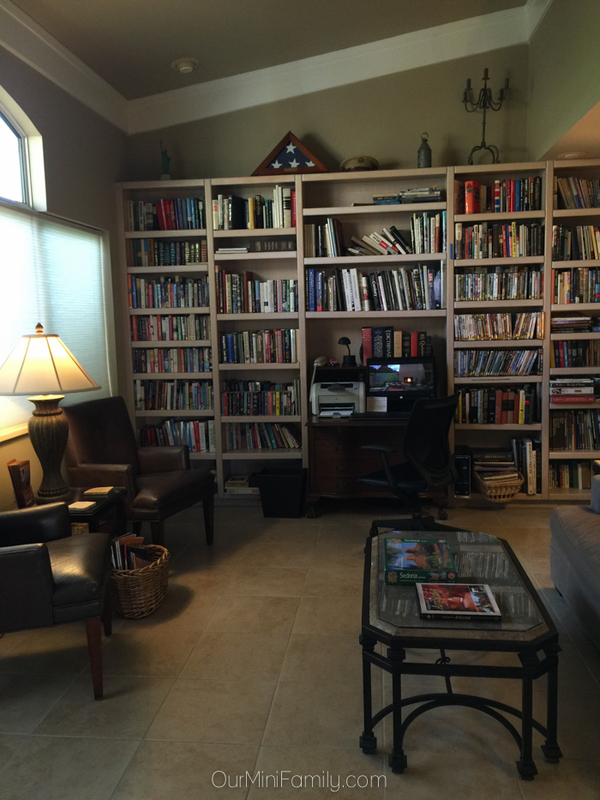 I also love the great selection of books. I would love to stay here sometime. 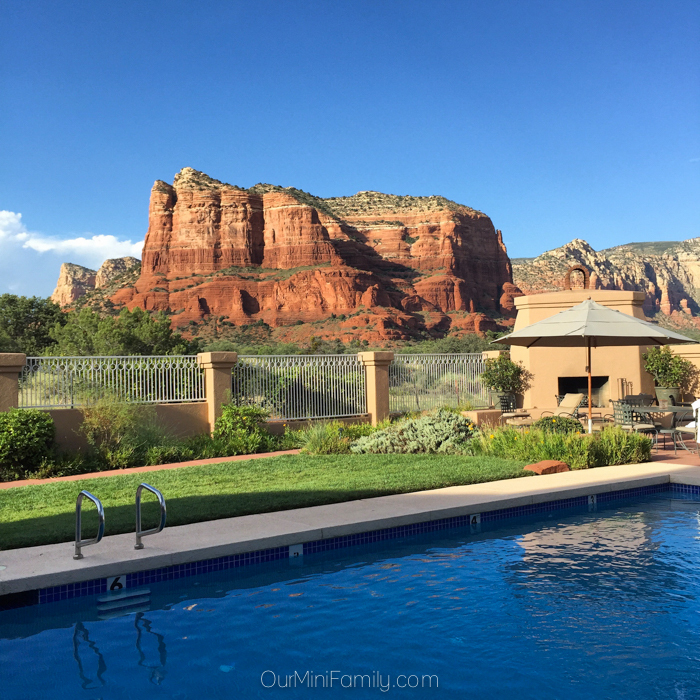 I tell you, Hubby and I have a list of places we want to visit and Sedona is totally on our list. This place is amazing looking. So relaxing... and I am super curious what you would have seen if it was lighter out with those binoculars. How relaxing! Love all of the pics and amenities! That sky! This looks like a beautiful place to stay. The rooms are amazing. 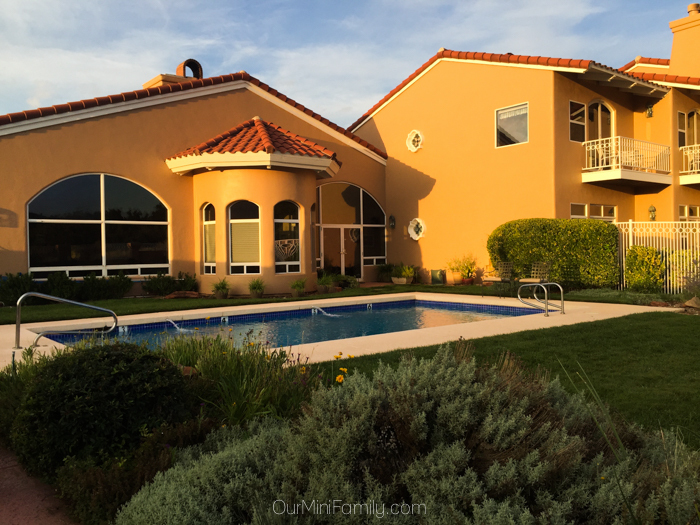 I would look for a place with a pool for our family. What fantastic views and accommodations! Looks like you had an amazing time! What's not to love about that place? The red rock view is exquisite, and I don't think I'd ever want to leave. Wow what a beautiful place to stay! Looks and sounds very tranquil, very relaxing! This place looks really amazing, and relaxing. I love the cozy nature of it, and yummy foods.